Private investors are shunning an issue of sovereign bonds reserved for them. Lacklustre interest in the “BTP Italia” undermines hopes that households will replace fleeing foreign buyers. It’s also a first sign of domestic discontent over Italy’s budget clash with the EU. 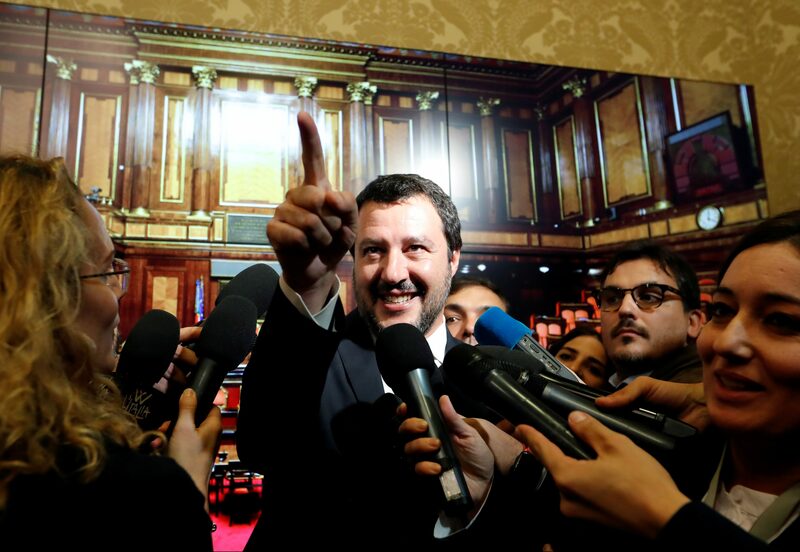 Interior Minister Matteo Salvini speaks to the media at the Senate in Rome, Italy November 6, 2018. Orders from ordinary investors for the latest Italian government bond had reached 781 million euros by noon on Nov. 21, according to Reuters. The offer of the “BTP Italia” bond runs for four days, with the first three reserved for small savers whose demand is met in full. The previous bond, sold in May, raised 4.1 billion euros from retail investors. The four-year bonds offer a coupon of 1.45 percent above inflation, compared with 0.55 percent on the previous one which had an eight-year maturity. Italian Regional Affairs Undersecretary Stefano Buffagni said on Nov. 21 the reception from investors was something to think about. The European Commission on Nov. 21 took the first step towards disciplining Italy over its draft 2019 budget.